Keep cosy with this hotel quality duvet. The weight and warmth of natural duck feather and down clusters will give you guaranteed comfort at a very competitive price. 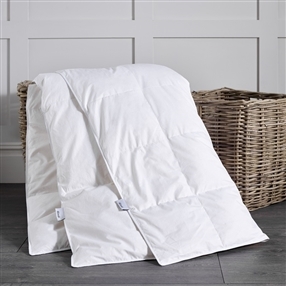 These duvets contain a blend of 70% small fine duck feathers and 30% fluffy white high loft down. 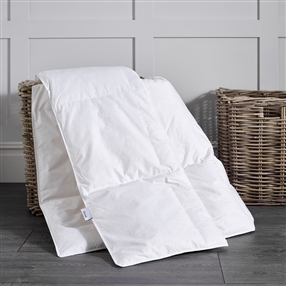 The outer casings are high quality 233 thread count 100% cotton down proof cambric with a piped edge and box wall baffles to maintain an even spread of filling throughout the duvet and eliminating any "cold spots".